Well hello to you my reader chums! The month of falling leaves and autumn vibes has come to a close with an even colder season truly amongst us. October, I have to admit was an incredibly busy few weeks! Something was always going on, from my getaway to Athens, London trips to parties and all the small activities in between, November arrived before I knew it. I didn't really try out many new products the past few weeks but dabbled with a few golden oldies. 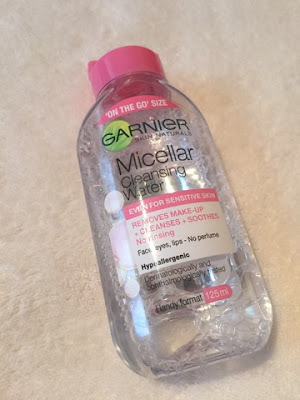 For years now, I've been using Garnier's micellar water to take off my makeup as I've found it to be the most effective and easy method. I wanted to give it an extra shout out this month as I've loved using the mini bottled version. As I mentioned, I've been on a lot of adventures lately, so find the mini bottle easy to pack for sleepovers or weekend breaks. However, it's not under 100ml so you can't use this for hand luggage on a flight. The product itself is very gentle on the skin, wiping away all the excess makeup with hardly no effort whatsoever. It doesn't hold a scent so the lack of perfume is ideal for those with sensitive skin. After use, your skin feels completely clean and like the majority of your makeup has been swept away, even waterproof mascara; a must essential for every makeup wearer. Autumn for me means the warmer and darker colours come into play, from burgundy, berry to copper tones especially for makeup. I love to get out my trusty copper toned and warm brown eye shadows at this time of year as they pair so well with my favourite autumn fashion pieces. The staple being 'Amber lights' by Mac. It's the perfect shade with enough gold and that pinch of orange tone to give a rich copper colour. As I have blue eyes, its the one eye shadow I put on that truly makes my eyes pop! 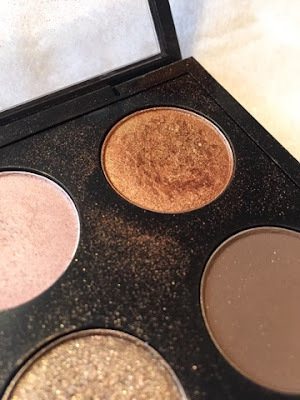 The shadow itself is very soft, intensely pigmented and blends well, I couldn't fault it. Berry, burgundy or purple lip colours are my favourite to wear when the autumn months arrive. I love pairing them with warmer toned eyes and bronzed, glowing cheekbones. 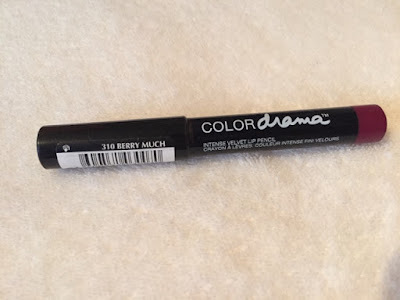 This berry lip product in particular was one I used to be obsessed with and took it out for a few uses these past few weeks. I can see why I fell in love with it, the consistency is creamy, pigmentation strong and colour a stunning purple toned berry. Even though in a pencil form, application is still soft and doesn't tug on the lips. With the consistent cold weather, I've found nothing better than a bubbly Lush bath to warm and relax me after a day at work. I've been using a mix of my favourite bath bombs from Lush cosmetics and Zoella Bath Latte to create an endless amount of sweetly scented bubbles. Autumn is my favourite season for fashion. I love layering up, the colours on trend and tartan scarves, it's certainly my cup of tea. 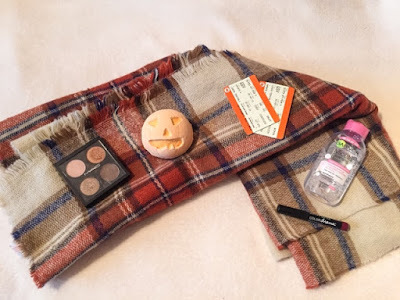 I'm a tartan scarf hoarder, I constantly buy them whenever I see a new one in the shop; my favourite being the blanket style scarves you can purchase in Primark. They're thick, cosy and totally inexpensive, the best way to stay in budget and look stylish this winter. 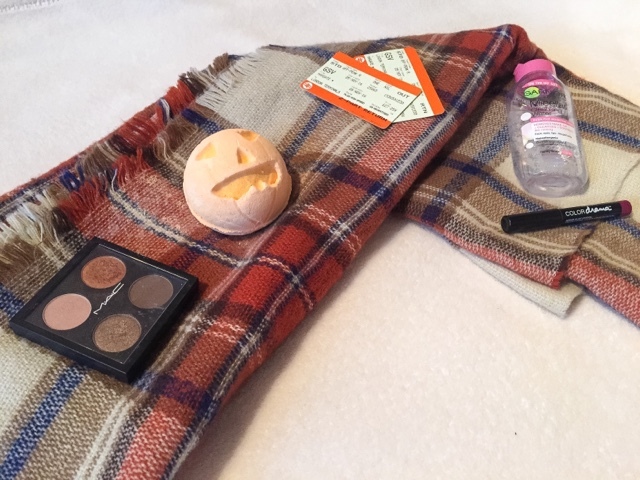 Out of all the scarves I have, the one I've been wearing the most is a tartan print with burnt orange, khaki, white and blue tones running through it, something a bit different to your typical red and green ones. 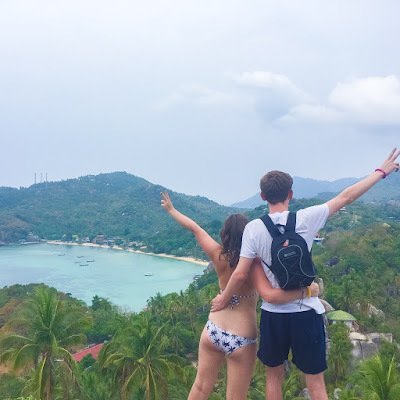 Visiting new places and having different experiences are my favourite activity to delve into. I'm lucky this past month to have flown to Athens on my own, went on a few London ventures to see Fifth Harmony and Harry Potter World plus the random, fun-filled moments with my best friends. I feel so bless everyday to do such sensational things and be surrounded by a group of loving people. 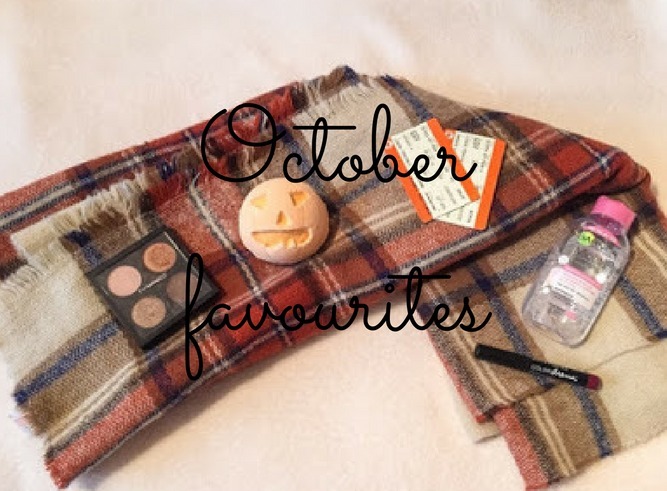 I hope you enjoyed my October favourites. What products have you been loving this month? that MAC palette looks so nice!